The Rev. 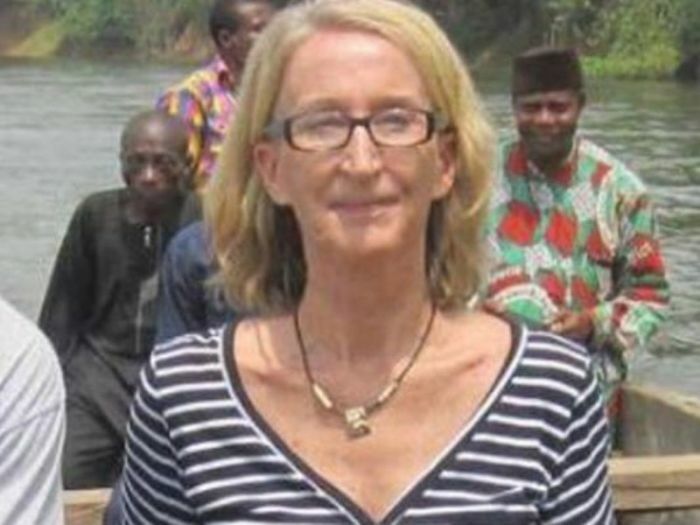 Phyllis Sortor, the American Free Methodist Church missionary who was kidnapped by suspected criminal gang members in Nigeria last month with a demand for a $300,000 ransom, was safely released Friday, according an announcement from the church. "Early evening Nigeria time, Friday, March 6, Phyllis Sortor, Free Methodist missionary to Nigeria, was safely released into the care of authorities and Free Methodist church leaders," noted David W. Kendall, for the Board of Bishops in a news release to The Christian Post Friday evening. "It appears she was kidnapped by a criminal gang, and there is no evidence this event is associated with terrorism or religion. Free Methodist leaders express deep appreciation to all who prayed for Sortor's safe return," he added. Sortor was abducted from Hope Academy in Emi Woro, Kogi State, on Monday, February 23 by masked and armed men who later demanded that a $300,000 ransom be paid for her safe return. Her distraught family declared quickly, however, that they had no money to pay for the 71-year-old missionary's return. "We are just a working-class family, we don't have money. That's not a huge church, they don't have money. Why they took her, who knows? The people that are doing this stuff, these guys have no backing — they're just cowards," the missionary's stepson Richard Sortor noted in an earlier CP report. It was unclear from the release whether or not the ransom was paid for the Rev. Sortor's return. Kendall noted that the details concerning the release would not be discussed publicly. "As a matter of sound policy, and to help protect the many people who helped secure Phyllis' freedom, we will have no comment concerning the efforts that were undertaken to secure her release," he said. "Sortor was aware there were risks associated with her ministry, but also knew there are very few places in the world without risks and dangers. She recently said, 'Heaven is for real! There is no guarantee in life; no safe place – other than that place we find ourselves when our full faith and trust is in God!'" he added. He further noted that Sortor, who spent her childhood in Mozambique, had relocated to Africa after spending many of her adult years in Seattle, Washington. "Sortor and her husband, Jim, relocated to Rwanda where they ministered for nearly six years. Phyllis and Jim returned to Africa in 2005, this time serving in Nigeria. After Jim's death in October 2008, she remained in Nigeria where her main focus has been leadership development and International Child Care Ministries, the Free Methodist Church's child sponsorship program. She has also been instrumental in establishing schools in Kogi State for the children of Fulani herdsmen and in instituting grazing projects as one solution to long-term conflicts between Nigerian farmers and Fulani herdsmen," said Kendall in the release.